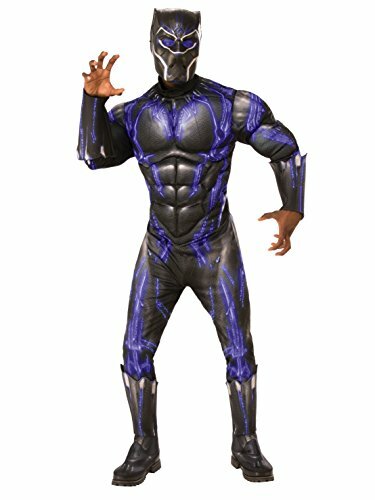 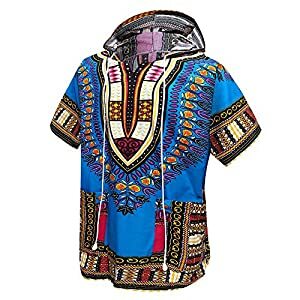 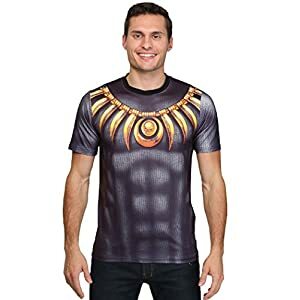 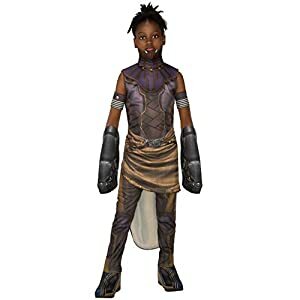 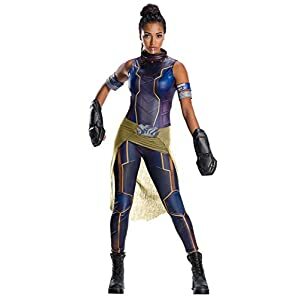 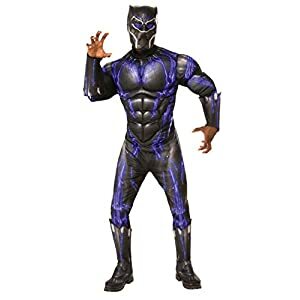 Deluxe black panther battle suit black/blue padded muscle chest jumpsuit with shoe-covers and mask. 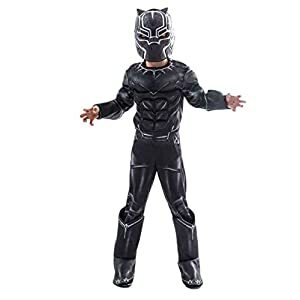 Important: costumes are sized differently than apparel, use the Rubie’s adult male size chart, do not choose based on clothing size. 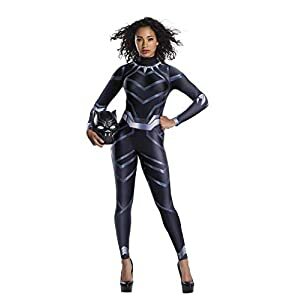 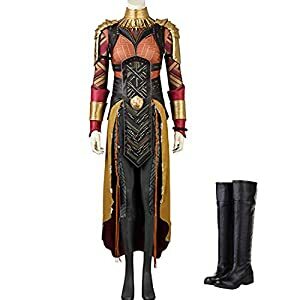 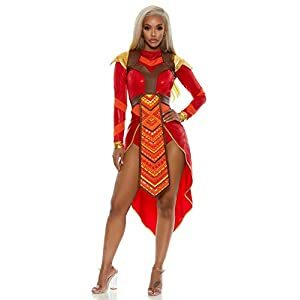 Officially licensed disney and Marvel Studios costume, look for authentic logo and trademark on packaging.